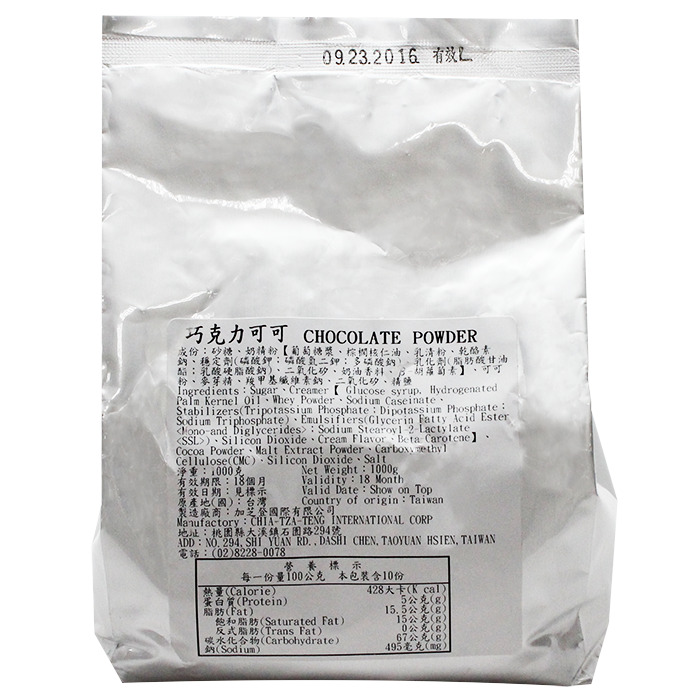 Chocolate Bubble Tea Powder used to make chocolate bubble tea smoothies and chocolate milk teas. Who doesn't love chocolate? 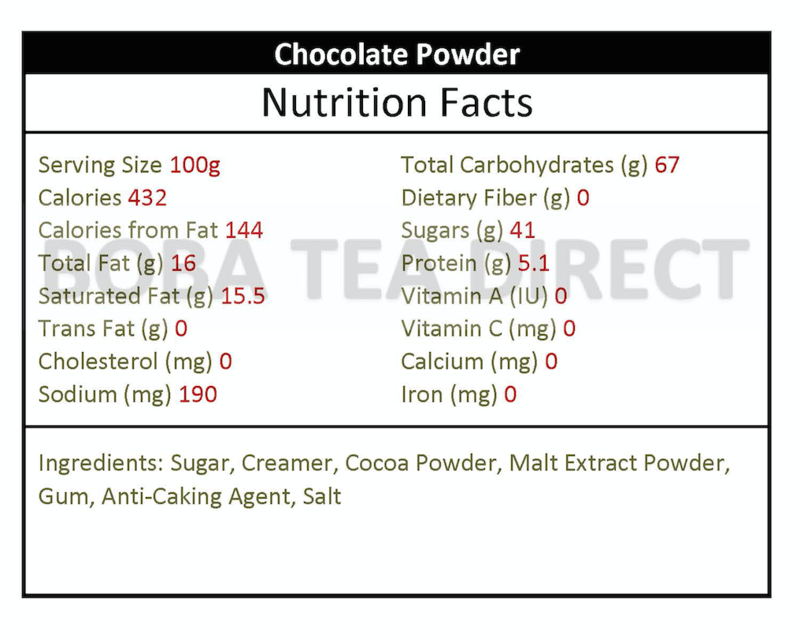 Taste chocolate goodness with every sip of your favorite shake, slushes or smoothie, with our very popular chocolate powder. This crowd pleaser is sure to be a hit with friends and family, especially children. Whether you're entertaining guests or just relaxing with your family on a weekend, whipping up a chocolate milk tea is a certified hit. It's creamy, smooth and delectably yummy. Like this item? Try our Coconut Bubble Tea Powder! I recently became addicted to bubble tea and decided to start making these at home.